Our IVR real estate services can provide timely information about your property listings to callers 24 hours a day. By listing a single 800 number and a property identification number, real estate agents can now provide prospective buyers with up to date information regarding their property listings. Using our automated call answering service, agents can update their listing information by recording over the phone the latest information about a property. Callers can use touchtone keys on their phone to obtain the information they require about a property. To be connected to a realtor, the caller simply presses the appropriate key and leaves a recorded message for a realtor. Likewise, the caller can request to talk with a real estate agent. Our automated phone service and systems can route the call to any different phone numbers based upon time of day or other business rules established by the broker. To view how other businesses and organizations are using this phone application, please visit our Real Estate Phone Applications web page. Contact DSC today. to learn more about our real estate IVR services and systems. Our IVR Real Estate phone systems can not only accept phone calls from prospective buyers but also enhance your marketing programs by performing outbound calling campaigns. Here are just a few of the types of real estate campaigns that can be accomplished using our technology. Real Estate Phone Dialer - This traditional method of calling dials a number from a phone list when a real estate agent is available to make a call. 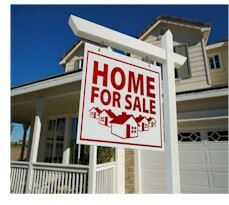 When the number is dialed, the phone system transfers the real estate lead to an agent. This method simply relieves your real estate agents from the tedium of manually calling real estate leads. This type of calling is appropriate when your real estate offering requires a personal touch and human interaction but limits the number of calls. Real Estate Voice Broadcasting - This method of voice broadcasting dials from a list and plays a pre-recorded message either to an individual or to an answering machine. A real estate agent is not required. This technique could be useful when you wish to inform a potential customer of an upcoming program, or to provide instructions on how to contact your real estate center. Voice Broadcasting and Touchphone Response - This method expands the prior message broadcasting technique by playing a message that gives the potential customer options from which to select. Using touchphone responses such as "Press 1 for...", options could include obtaining additional property information, leaving a recorded message, speaking with an agent, or simply being removed from the call list. A different message can be left on an answering machine. Real Estate Predictive Dialing - Predictive dialing is very similar to automatic dialing, except the phone system dials several numbers ahead to reduce the amount of wait time between calls that your real estate agents handle. This greatly increases your real estate agent productivity, but may lead to lost calls because the real estate lead auto dialer contacts an individual when no real estate agent is available. "Smart" Message Dialing - This type of calling campaign blends Message Broadcasting with Predictive Dialing and can produce very productive results. Messages are played to potential clients, and if the individual expresses an interest in your real estate project or development, the call can be transferred immediately to one of your real estate agents. A separate phone message can be left on an answering machine. Database Systems can provide any type of calling program required by your organization and can even blend several types using our real estate autodialer to determine what works best for your specific marketing program. One of the largest homebuilders in America, KB HOME has over 45 years experience and a reputation in the industry for innovation and customer satisfaction. Our mission is to redefine the homebuilding industry by creating a premier, disciplined, process-driven company as measured by our customers, employees and shareholders. KB Home utilizes our voice broadcast services to contact individual home buyers who have explicitly expressed an interest in being notified when a new KB home development is opened. Our call center contacts these prospective buyers providing them with a recorded message indicating where a new development has opened and giving them instructions on how to contact their sales organization. Inbound 800 numbers or local phone numbers can be published allowing prospects to call for property information. Calls can be routed to the appropriate parties or the information can be provided entirely by the phone system. Property management groups can use this service for maintenance and repairs, and coordinated emergency service dispatching. We hope you find this directory useful and any comments or suggestions (including submissions of applications) are welcome!